Cut hair vertically or diagonally from a low stress position with this scissor. 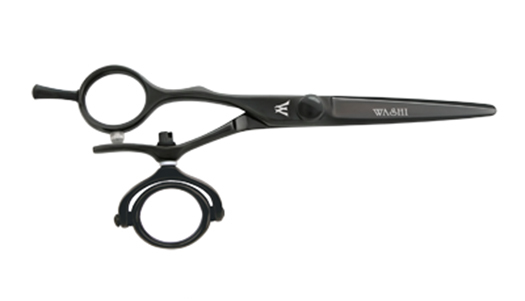 This left-handed Black double swivel hair shear is the ultimate in comfort and versatility. The second swivel allows for greater freedom of the thumb movement reducing thumb fatigue. Cut hair vertically or diagonally from a low stress position. Flatter wrist, lower elbow and shoulder position means greater comfort.